A product in your pantry may hold the secret to protecting the heart from disease. UCF researchers have found that sesame oil can prevent or reduce the development of the build-up of plaque in the artery walls, known as atherosclerosis. In a study recently published in Nature’s Scientific Reports journal, Sampath Parthasarathy, a cardiovascular researcher at the UCF College of Medicine, found that mice treated for 30 days with sesame oil extracts, and later exposed to a high fat diet developed significantly less plaque buildup compared to a control group that received no treatment. Known in some dietary circles as the “queen” of oils, sesame oil is believed to have natural antibacterial, antiviral, and antioxidant properties. It is also a rich source of polyunsaturated fatty acids and monounsaturated fats that can help keep cells and arteries healthy. In a previous study, Parthasarathy found mice treated with sesame oil were 60 to 80 percent less likely to develop heart disease, as the properties in sesame oil reduced both cholesterol and chronic inflammation, the two leading contributors to atherosclerosis. Parthasarathy, who holds the Florida Hospital endowed chair in cardiovascular sciences, believes that most of sesame oil’s benefits come from additional water-soluble compounds that are produced when the oil is extracted from sesame seeds. His laboratory has identified several novel compounds in sesame oil that may have anti-inflammatory properties. They have developed a unique method to separate these non-fat components, producing a sesame oil aqueous extract, which can be freeze-dried and added to common beverages such as lemonade or tea. The current study was aimed at testing whether the water soluble components of the oil would have the same effects in inhibiting atherosclerosis as the oil itself. In the study, Parthasarathy divided mouse models into three groups. 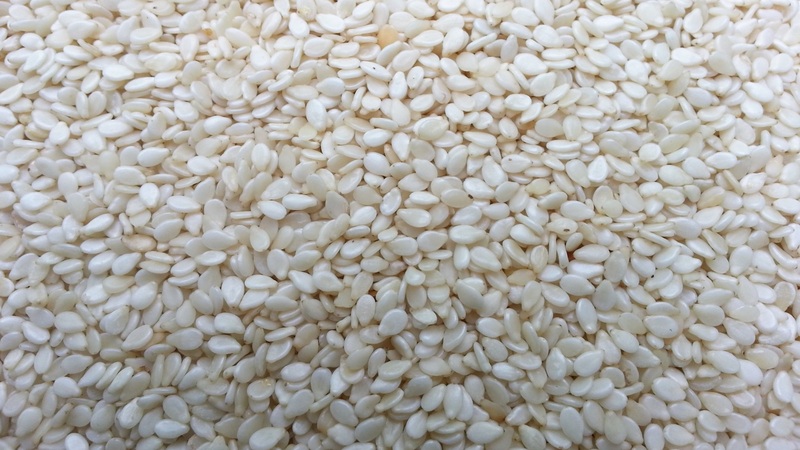 For 30 days, one group received daily doses of whole sesame oil, the second group received the aqueous extract and the third control group received no treatment. After the first 30 days, all three groups of mice were placed on high fat diets for another 30 days. At the end of the study, tests revealed that the control group developed atherosclerosis, while the sesame oil-treated group and the extract-treated group did not. Mice treated with both sesame oil and the aqueous extracts also had decreased inflammation. However, only mice that received sesame oil showed decreased cholesterol levels. Statins also have side effects such as muscle pain, digestive problems and in rare cases liver damage. Sesame oil is not a preferred choice for cooking because its low smoke point causes it to burns quickly. But Parthasarathy suggests incorporating it into meals by adding a tablespoon to soup, sauces or smoothies or using it as a salad dressing. He also recommends using unrefined or cold-pressed sesame oil as these oils retain most of the beneficial components that are filtered out during the refining process. The research team wants to do further studies of the effects of statins used in combination with sesame oil in decreasing cholesterol and preventing inflammation. With its noted anti-inflammatory effects, his lab is also exploring sesame oil’s effects for other inflammatory conditions such as Crohn’s disease.